Leonardo awarded £293 Million Apache integrated operational support contract by UK MoD. On January 17, 2019, Leonardo announced that it was awarded a contract by the UK Ministry of Defence to provide the Apache AH Mk.1 Attack Helicopter fleet with comprehensive support and maintenance services. 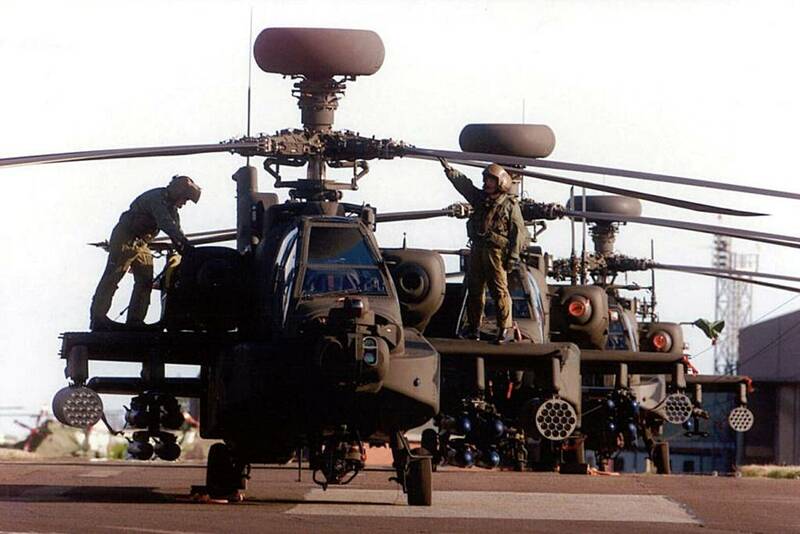 The Apache Integrated Operational Support (IOS) contract is valued at approximately £293 million (approximately €325 million) and will continue to support the Apache AH Mk.1 Attack Helicopter fleet from 1st April 2019 until the aircraft goes out of service in 2024. The deal was announced during the visit of Defense Minister Stuart Andrew to the Leonardo Helicopters' facility in Yeovil. “The Apache has provided years of crucial battlefield support to UK and coalition troops in operations in Libya and Afghanistan. This multi-million-pound contract will ensure our Armed Forces continue to benefit from this vital capability as we integrate the latest Apache model into service in 2022,” Andrew said.